[TVXQ! SNS] 181127 Official Accounts on #東方神起 New Single #Jealous Setting 3 Records on Oricon Chart! + Liked by Changmin! 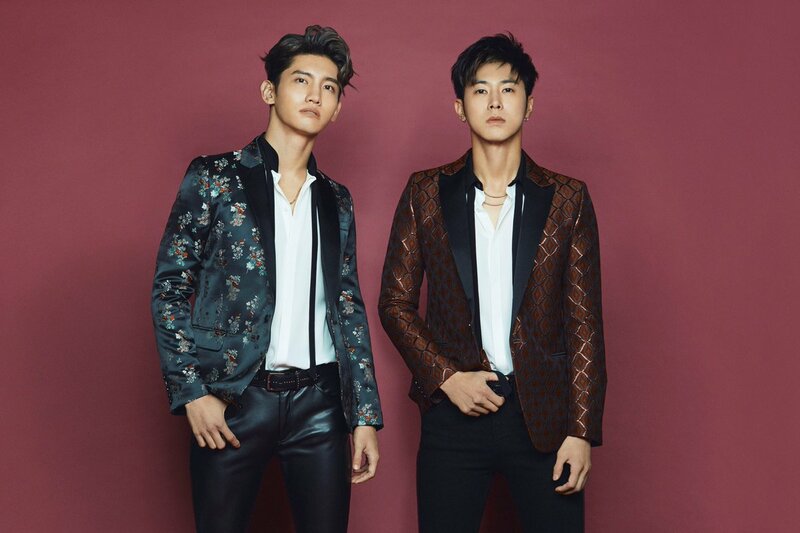 TVXQ!’s new single ‘Jealous’ marked the 13th time the group had topped the Oricon weekly singles chart, breaking the foreign artists’ records! The duo also won the top spot for having the most ‘TOP 10’ chart-in songs, and accumulated single sales, making it a triple crown! What a king! 동방신기가 일본 새 싱글 ‘ #Jealous’를 통해 통산 13번째 #오리콘 위클리 차트 1위를 기록해 해외 아티스트 신기록을 세웠습니다! 이에 더불어 ‘TOP 10’ 작품 수에서도 1위, 싱글 누적 판매량 또한 1위로 트리플 크라운을 달성했습니다! 역시 명실상부 톱클래스 동방신기! 축하합니다! #동방신기 가 일본 새 싱글 ‘#Jealous’를 통해 통산 13번째 #오리콘 위클리 차트 1위를 기록해 해외 아티스트 신기록을 세웠습니다! 이에 더불어 ‘TOP 10’ 작품 수에서도 1위, 싱글 누적 판매량 또한 1위로 트리플 크라운을 달성했습니다! 역시 명실상부 톱클래스 동방신기! 축하합니다! #TVXQ! Tagged Changmin, JP Single: Jealous, Records/Achievements, Tohoshinki, TVXQ!